Gently Remove. Precisely Shape. Clearly Define. Since 1999, Thread Away has offered simple beauty services rooted in rich cultural tradition and attention to detail. Easy luxury that is both rejuvenating and efficient, turning maintenance into ritual and respite. 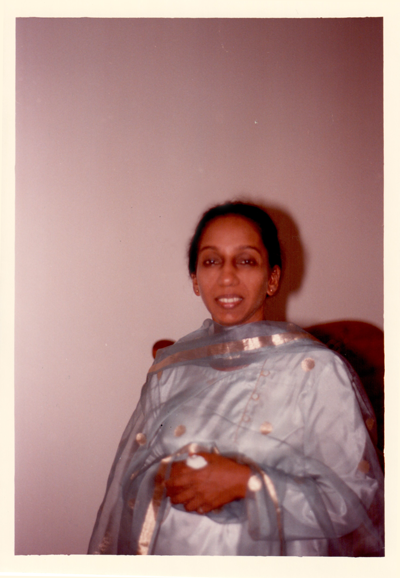 Our founder, Sujala, began her first threading salon the Chicago suburb of Oakbrook. Her warm personality was magnetic, and although she never learned to thread, Sujala quickly built a successful business, creating inclusive work opportunities for women of all ages. Her son, Sanjay, noticed the popularity of threading and the welcoming atmosphere his mother cultivated. He encouraged Sujala to further refine the concept and helped her move downtown to Thread Away's first location at 500 N Wells in 1999. Now run by her daughter-in-law, Shauna , with the help of several of the first threading artisans Sujala hired, Thread Away lives on in tribute to her and the comforting, radiant spirit for which she is so fondly remembered. Originating in Asia and the Middle East, threading is a millennia-old technique for removing facial hair using a piece of cotton thread which is doubled and twisted, then woven across the surface of the skin. The technique, usually passed down through generations of families, can remove entire rows of hair at once, making it more efficient than tweezing and more precise than waxing. Recommended by dermatologists because it preserves the skin's elasticity, threading is the most natural and gentle method for removing facial hair and for shaping the eyebrow.